Shown with CAC, CACIB, BOB, group- and BISplacements in four different countries. Rasmus is born with our friend Valerie Yates, Ninebarks kennel in Canada. 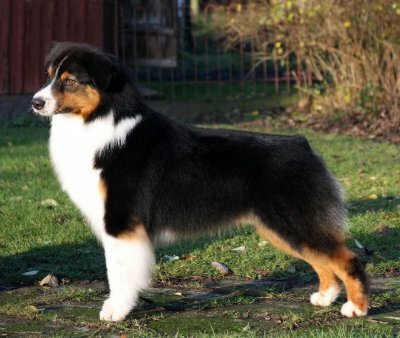 He has a pedigree filled with dogs that we adore, sound in body and soul. 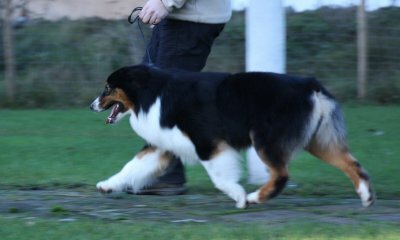 He comes from a litter that, in very young ages are doing well in confirmation as well as preformance. Rasmus himself in a big handsome guy standing well on his feets, he has a strong head and is well angulated borth in fron and rear. He outgoing and playful and loves to carry things in his mouth, he is easy going and enjoys company from all sorts of animals, all type of dogs and all kinds of humans. He is easy to motivate in working and loves to work together with his human. He did a nice mentalest and shows no fear for gunshots.